JL05 Series | Japan Aviation Electronics Industry, Ltd.
#20 contact: 5 A max., #16 contact: 13 A max., #12 contact: 23 A max., #8 contact: 46 A max. crimp type: 5000 megohm min., solder type: 1000 megohm min. 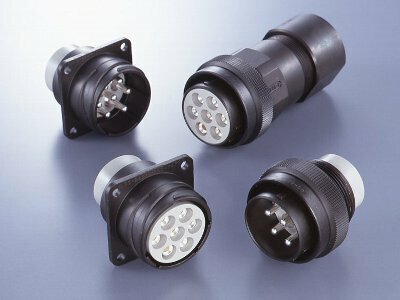 (example), 0.13 mm2: 27 milliohm max., 3.5 mm2: 2 milliohm max., 8 mm2: 0.6 milliohm max.